As the California recreational cannabis market matures, trends are starting to emerge. 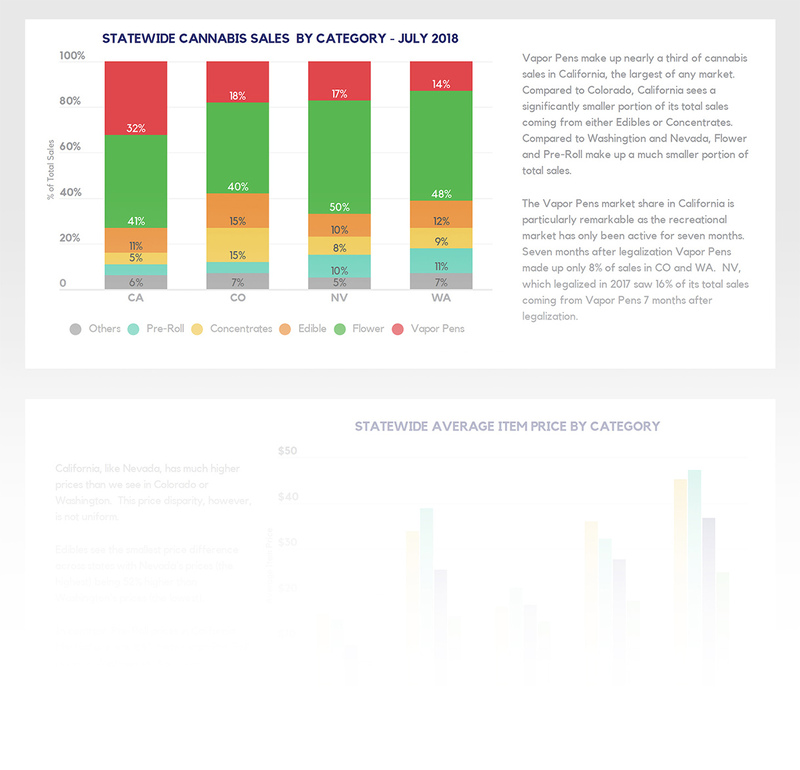 In reviewing the sales data since legalization at the start of the year, we see California behaving in a significantly different manner than other recreational markets, suggesting that trends from other markets may not apply in California. When comparing California to more mature markets both today and in the early days of those markets, we see that California has charted a different path than its predecessors.